Samsung took the wraps off a series of two new home theater soundbars that have a unique feature: They can automatically adjust their EQ and other settings to provide a better sound experience based on the video that is displayed on the screen. The HW-Q70R (price unannounced) and HW-Q60R ($500), developed in conjunction with Harman Kardon (which Samsung bought in 2017), both feature wireless subwoofers, and Samsung’s new Adaptive Sound Mode. 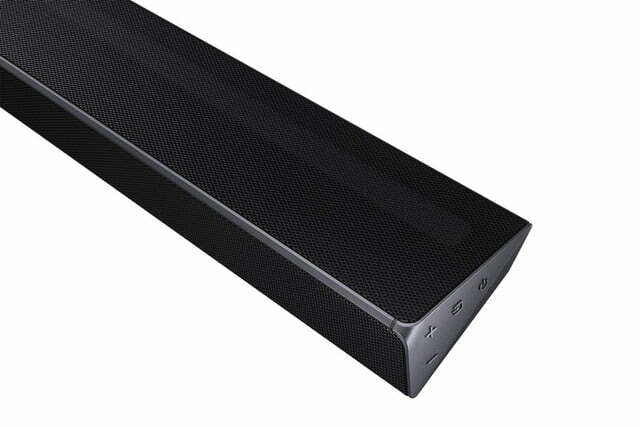 “Through Adaptive Sound, which understands the sound and optimizes it according to the scene, listeners can enjoy even more realistic sound for every genre of content,” Jongsuk Chu, Executive Vice President of Visual Display Business at Samsung Electronics, said in a news release. 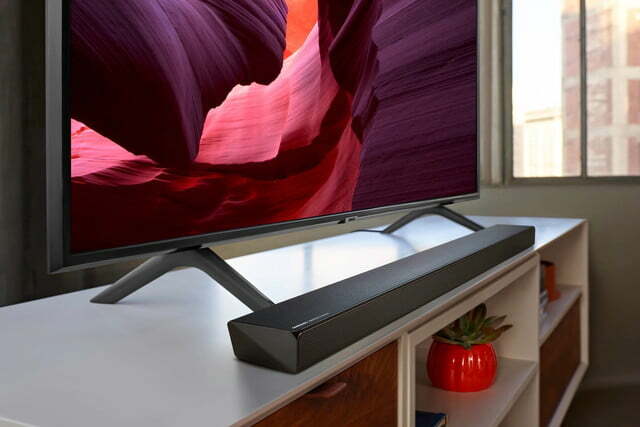 The feature works with any connected TV but is automatically engaged when these soundbars are directly connected to 2019 Samsung QLED TVs, which have their A.I. mode turned on. At the moment, it’s not entirely clear how Adaptive Sound Mode differs from the company’s Smart Sound Mode (available on the less expensive HW-R650), which it also claims can automatically adjust to onscreen content. 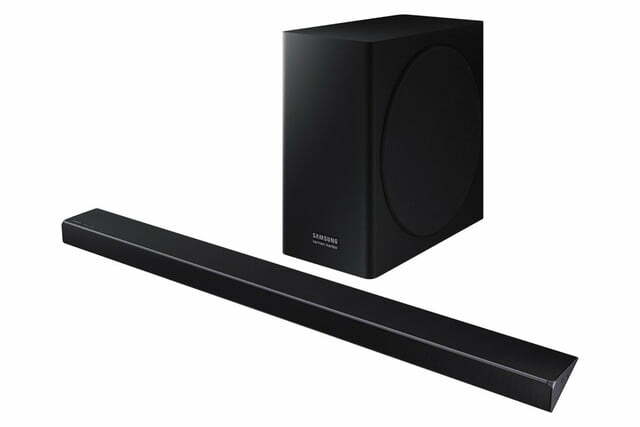 The pair of soundbars make use of Samsung’s acoustic beam technology, which generates a wider, more immersive sound field through small, directional holes drilled into the speaker cabinet, and they are compatible with an optional wireless surround speaker kit. Both models have Bluetooth and USB audio connectivity, and 4K HDR passthrough when connected to 4K Ultra HD sources like Ultra HD Blu-ray players. The HW-Q70R goes a step further, adding both Dolby Atmos and DTS:X support, features that were previously only available in much more expensive Samsung models, like the excellent HW-N950. It also has a slimmer profile, standing only 2.3 inches tall, which should prevent it from obscuring the bottom portion of TVs that have short built-in stands. Unlike the N950, neither of these new models come with voice assistant support from Alexa, Google Assistant, or even Samsung’s own Bixby. 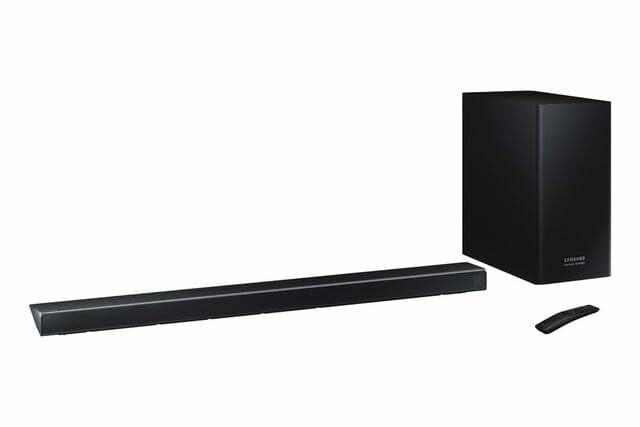 The HW-Q70R and Q60R come with their own dedicated remotes, but if you own a Samsung QLED with a One Remote, it can control these soundbars directly over HDMI-CEC. Both the HW-Q70R and Q60R will be available for delivery in April, but the HW-Q60R can be ordered on Samsung’s website right now.